Aseptic tank | Reda s.p.a. Studied and realized for the aseptic storage of liquid foods before their aseptic filling. They can also be used as surge tanks in case the aseptic filling line gets stopped, even if only temporarily, for any reason (technical anomaly, change of packaging format, etcetera). Usually, an aseptic tank works in conditions of overpressure through the use of sterile air or of a nitrogen barrier. 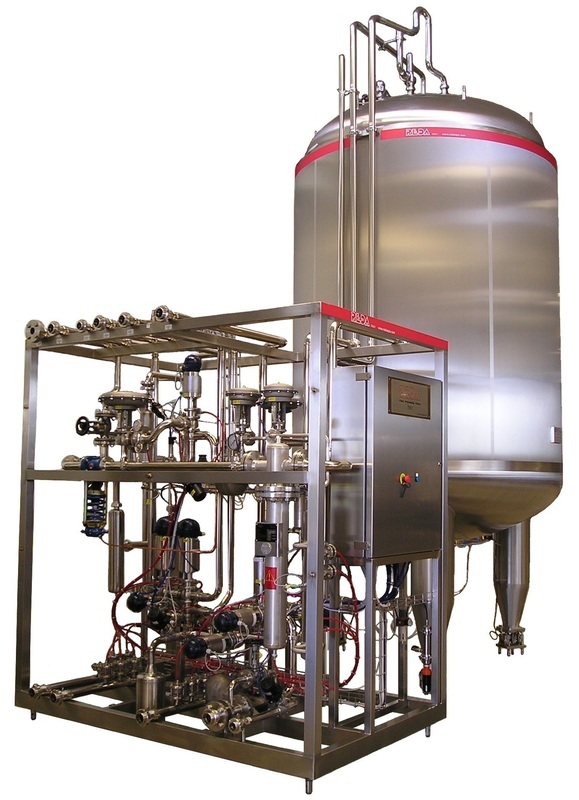 A group of stainless steel pneumatic valves grants the operations of pre-sterilization, product loading and unloading, aseptic and end production cleaning. All joints and connections in contact with the product are protected from steam barriers, under controlled temperature, to avoid any risk of contamination. 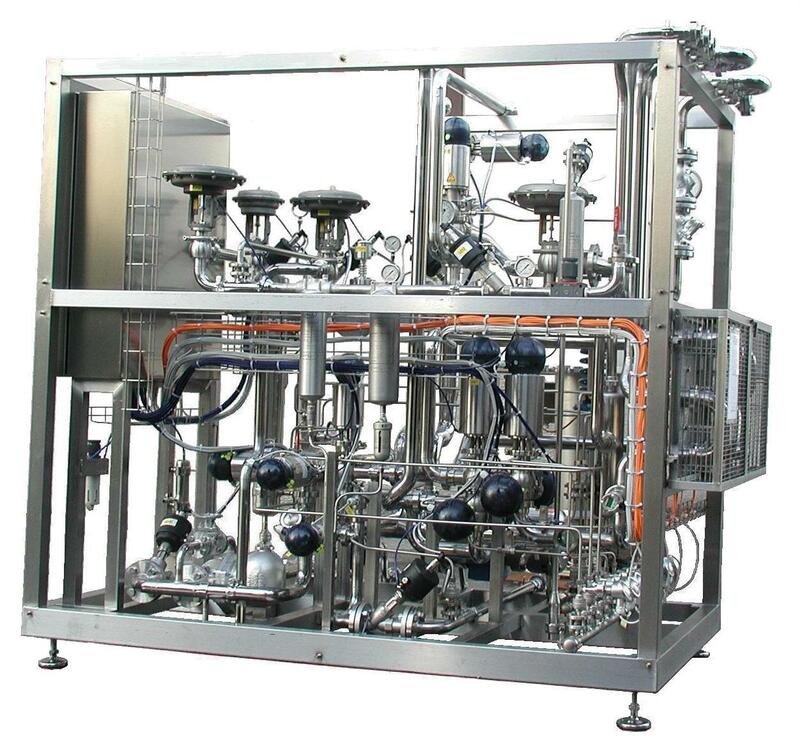 The presence of a variable speed agitator can be foreseen, which can be used for all those products subject to static separation or sedimentation. All functions can be managed directly from the command and control board of the UHT sterilization plant or from its own control board.